We are proud to announce that we have just launched a brand new Software Maintenance Support Portal for all our existing and new customers. Now you don’t even need to make a phone call to explain any maintenance requests for your websites or mobile apps. Just create a support ticket on support.delhideveloper.com, and we will resolve your maintenance issues and requirements within 24 working hours. 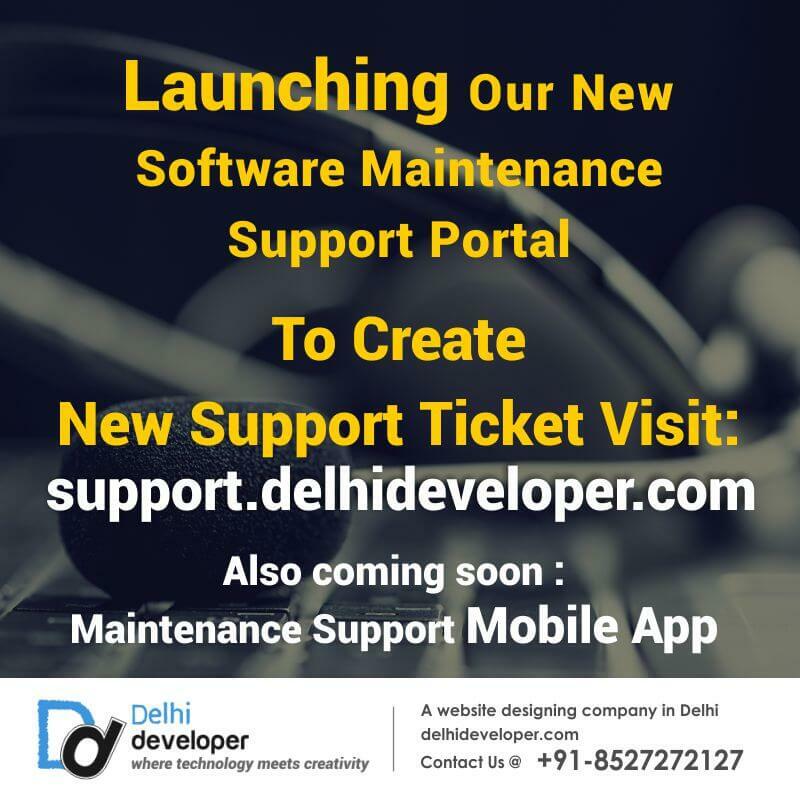 This portal is 24/7 online, so, you can can create a support ticket any time of the day and any day of the year. Services of this portal are free with all Software Development Packages and Annual Maintenance Contracts.